Take a journey onto the potter’s world – the trials and tribulations, the joys and heartaches. 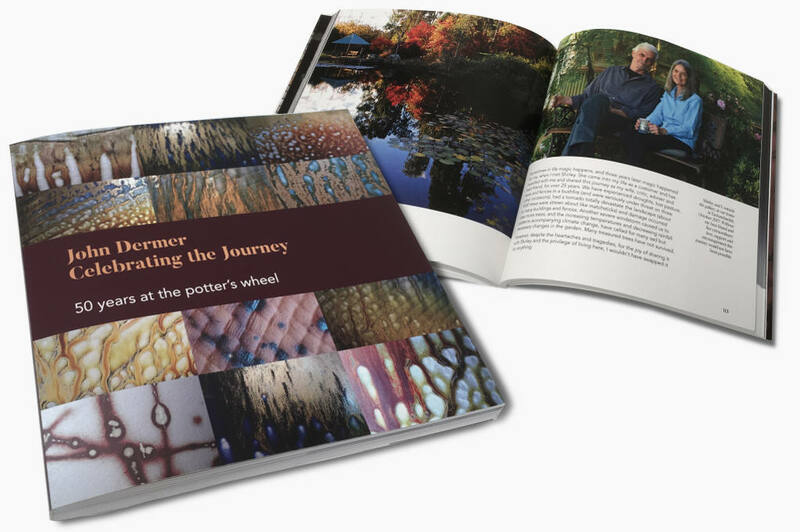 176 pages containing the written and visual history of John’s journey, his inspirations and work, from 1967 to his 50th Year at the Potters Wheel exhibition in 2017. The pots, techniques, building, photography and travel, the ups and the downs. The book also contains a superb visual index of all the pots that were in the 50th year exhibition. Proudly produced, printed and bound in Australia. $70 picked up at the gallery at Kirby’s Flat, Yackandandah. *Up to 4 books can be posted for the $15 postage charge, anywhere in Australia. Contact John Dermer to purchase this commemorative edition.